When the American criminal justice system convicts and sentences the wrong person, who does that person turn to for justice? In the recent Netflix hit documentary, “Making a Murderer,” this question was answered when wrongfully convicted Steven Avery was exonerated in 2003 after serving eighteen years in prison. His post-conviction advocate was an innocence organization committed to exonerating wrongfully convicted people. Similarly, our local California Innocence Project (CIP) is an innocence organization committed to exonerating wrongfully convicted people. It is part of the Innocence Network, which is the affiliation that connects the various state Innocence Projects around the country. 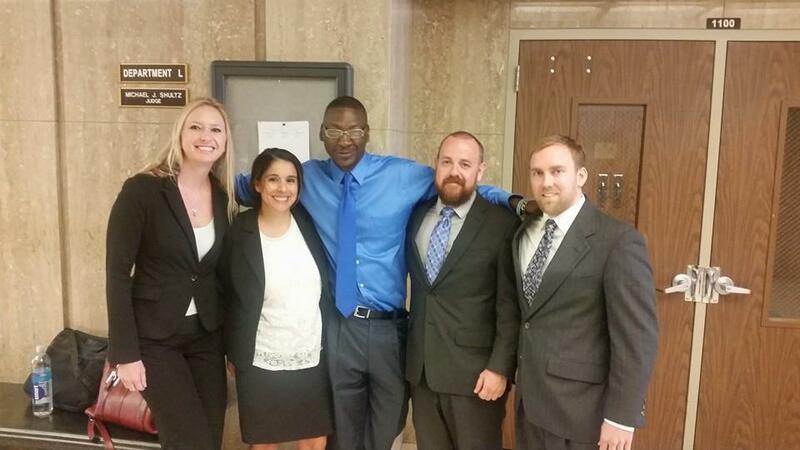 How does one get involved with post-conviction advocacy? Michael Semanchik, a CIP staff attorney, shared his unique path to post-conviction advocacy. As an undergraduate, he double majored in economics and finance, and had a desire to prosecute white collar crime and insider trading. However, when he became a law student, his path pivoted towards fighting for the exoneration of the wrongfully accused. While attending California Western School of Law, Mr. Semanchik sat in on a discussion where released prisoner, Tim Atkins, spoke about spending twenty-three years in prison for crimes he did not commit until he was exonerated with the assistance of the California Innocence Project (CIP). Specifically, a second-year law student in CIP tracked down the witness who made the false accusation, and the student obtained a signed declaration. From that discussion, Mr. Semanchik saw that law students can have a positive impact on people’s lives. Primarily, CIP empowers students to help the underprivileged and indigent community because the program offers hands-on experience in investigation, managing caseloads, and working directly with the community. Inspired by Tim Atkins’s speech of how CIP saved his life, Mr. Semanchik decided to join CIP as a student where he contributed advocacy work for a year. The next summer, he interned with the Attorney General’s office. Afterwards, he contributed two semesters interning at the Public Defender’s office in the Juvenile unit where he worked on a murder trial. In addition to juggling law school and work opportunities, Mr. Semanchik also compiled articles for the Wrongful Convictions casebook written by Justin Brooks, the founding director of CIP. By the time Mr. Semanchik sat for the bar exam, he had already amassed rich experience in the work field. After passing the bar exam and completing trial work for DUI (driving under the influence) cases, it was no surprise when CIP brought Mr. Semanchik onto the team as an attorney especially since he had already proven to be a hardworking advocate. How does an attorney stay motivated in this field given the high stakes and odds set against the clients? Mr. Semanchik says that the “wins” keep him going. In facing losses, he keeps in mind that there are always wins ahead. Moreover, he takes great pride in training law students to become good lawyers. His proudest moments at the California Innocence Project have been each and every time the program gets an innocent person out of prison, whether on parole or on full exoneration. What is in store for the California Innocence Project? Mr. Semanchik would like the California Innocence Project programs to grow beyond the walls of their office in that XONR8 Chapters would multiply by recruiting more students for post-conviction advocacy work. They would also like to start XONR8 Chapters at law schools and colleges around the state to educate people about wrongful convictions. Ideally, this would include guest speakers (exonerees, expert witnesses, etc.) as well as events and mixers. In a nutshell, CIP wants to spread the word about the issue of wrongful convictions. Perhaps, CIP can work with other organizations to assist released inmates in acclimating to society. The California Innocence Project located at California Western School of Law is doing great work, contributing to the community by assisting the voiceless – wrongfully convicted individuals. How can YOU help the California Innocence Project?